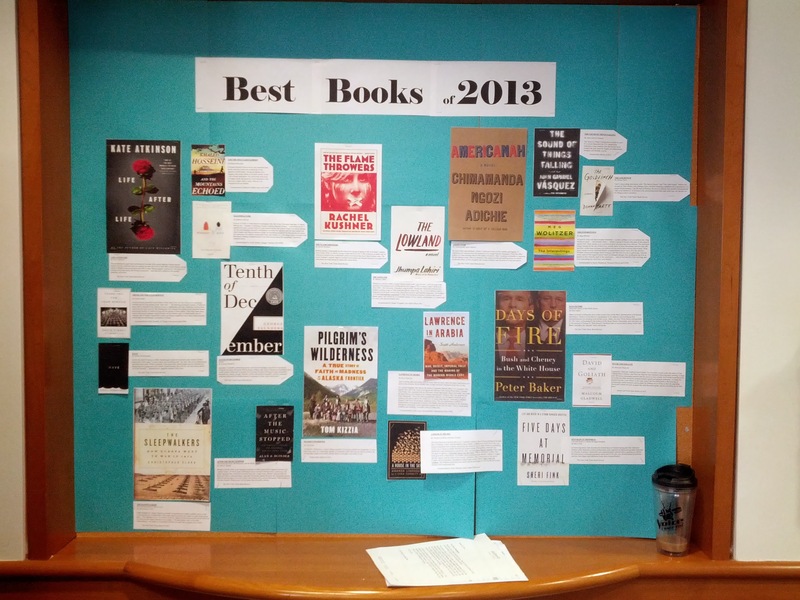 For January I made a display of the best books of 2013. I pulled the titles from the New York Times Book Review, NPR’s staff picks, and Amazon’s list of the best books of the year. I wanted a mix of fiction and non-fiction and I kept it to adult titles, no YA (Eleanor & Park straddles the line in my opinion). What’s new in the world of eBooks? NPR had a segment on Morning Edition today about libraries and their struggles to provide ebooks to patrons. It’s a nice summation of the issue. If you want to go deeper: http://viewer.zmags.com/publication/f8ac9caa#/f8ac9caa/1 the American Library Association just published a report on the state of ebooks and other digital content in libraries today. Here’s a secret about librarians: we use Google just as much, if not more than you do. Yes, our most frequent remark is that libraries and librarians can’t be replaced by Google (and that’s true! ), but we love Google and use it all the time. Google loves to tinker with their search engine. Last year they purged MANY Google Labs features that they claim have been incorporated into their regular products (although I’m still bitter about Google Uncle Sam, an amazing product that has not been fully replicated, not even by search.usa.gov). But even more, they love to tinker with where they hide the extra goodies and tips about their products (and librarians love extra goodies and knowing all the search shortcuts). The lesson plans are glossy and nice enough, but the real gems are the live trainings. They are thorough and helpful even to people like me who think they know everything already. And there are a lot of them. I’ve barely scratched the surface, but I’m eager to see more. Civics used to be one of the cornerstones of the American curriculum. However, teaching of the subject has waned in recent decades due to emphasis on achievement in reading, math, and science, and it is now taught (if at all) along with history and government, or only emphasizes community service. This has led to the widespread disinterest and disenfranchisement of younger people, who generally do not vote or participate in government or the political process. Fewer than half of all Americans can name all three branches of government, a minimal requirement for understanding America’s constitutional system. in a test done by the Intercollegiate Studies Institute. 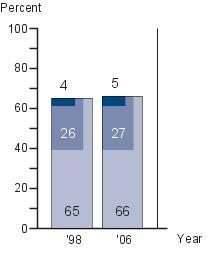 However, the 2008 election saw a significant change in participation by the 18-29 year old demographic. What could cause this change? I propose that it is because the candidates embraced the internet and mobile technologies to an extent previously unseen. This allowed young people to feel more connected and involved in the candidates and the campaign, and encouraged greater voter turnout than before. What does this mean for the School Library Media Specialist? Look for software, websites, or new technologies that allow voters, especially young people to feel more connected to politicians. Work with teachers to integrate them into their lesson plans. The earlier that students begin to feel that politics is relevant and interesting, the more likely they will be to vote later. A high school social studies teacher is working on the Maryland State Voluntary Curriculum Government Political Systems Goal 1, and specifically wants help from the SLMS finding tools to promote voting and interest and involvement in the political process. Students conduct a poll, either through Survey Monkey or on the ground data collecting. Then they will organize the results into a chart in Excel and give a short presentation to the class explaining their results. Students follow a politician’s or government agency’s activities for a month using Twitter, Facebook, and websites. 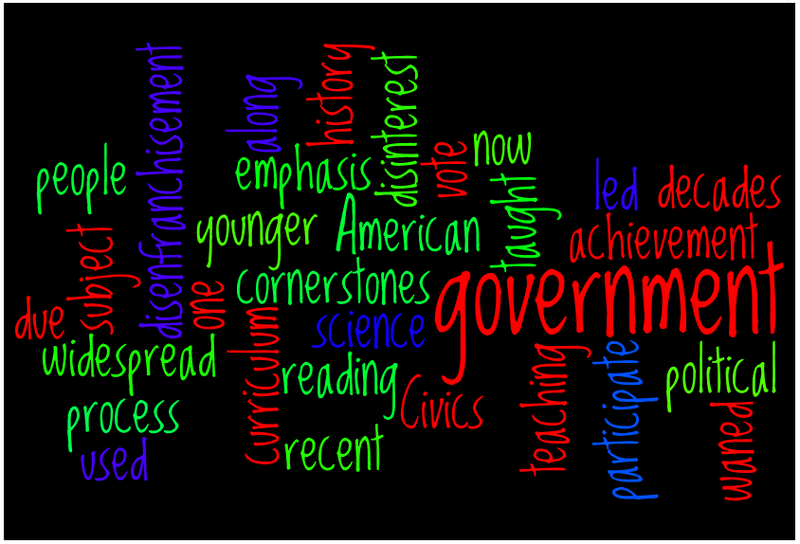 Then analyze a speech or news release in Wordle or Inspiration, finding the main themes and political spin. Students have a choice of writing a paper or creating an xTimeline on the history of a political movement. Students use the Gallup Poll website to study public opinion (Scheuerell, 2008). Carr, D. (2008, November 10). How Barack Obama tapped into social networks’ power. The New York Times, p. B1. McFeeters, B. (2008). Civics Education in the Schools. (pp. 1-1). Great Neck Publishing. Retrieved April 23, 2009, from Research Starters – Education database. Scheuerell, S. (2008). Gallup Poll: using the internet to learn about the influence of public opinion in politics. The Social Studies, 99 (4), 181-186. Adapted from my final project for a school library media class at the University of Maryland, College Park, 2009.